Alert AM/FM Weather Radio | BUDK.com - Knives & Swords At The Lowest Prices! 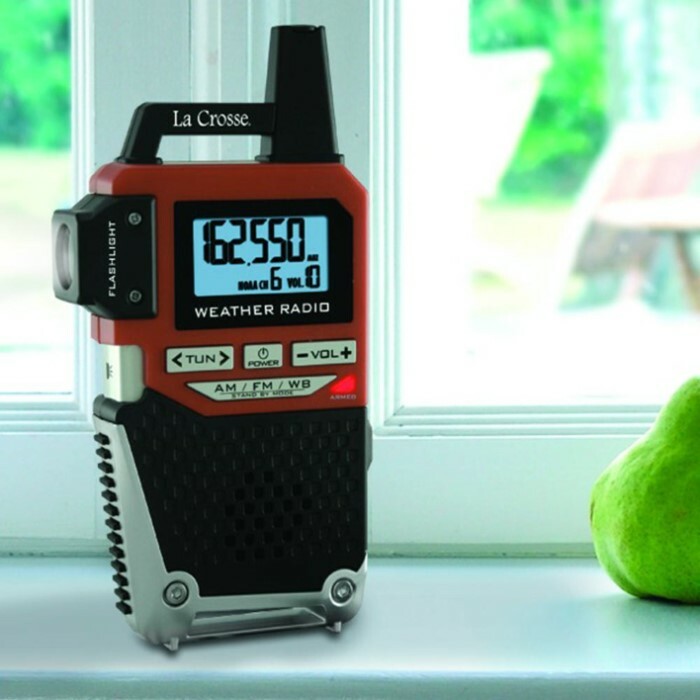 Always be the first to know when bad weather is approaching with the Alert AM/FM Weather Radio. 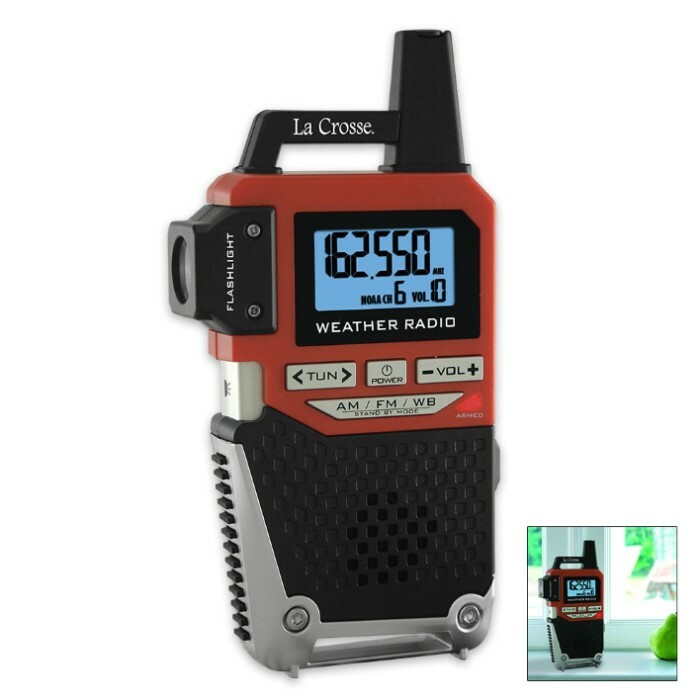 You will receive up to the minute weather information because this radio automatically activates when bad weather threatens your area. It receives all NOAA channels and features a blue backlit screen that changes to red during alerts. It has a telescoping antenna and earphone jack. It also has a LED flashlight and receives AM/FM radio reception. It is powered by 3 AAA batteries (not included) or 6V AC adapter (sold separately).